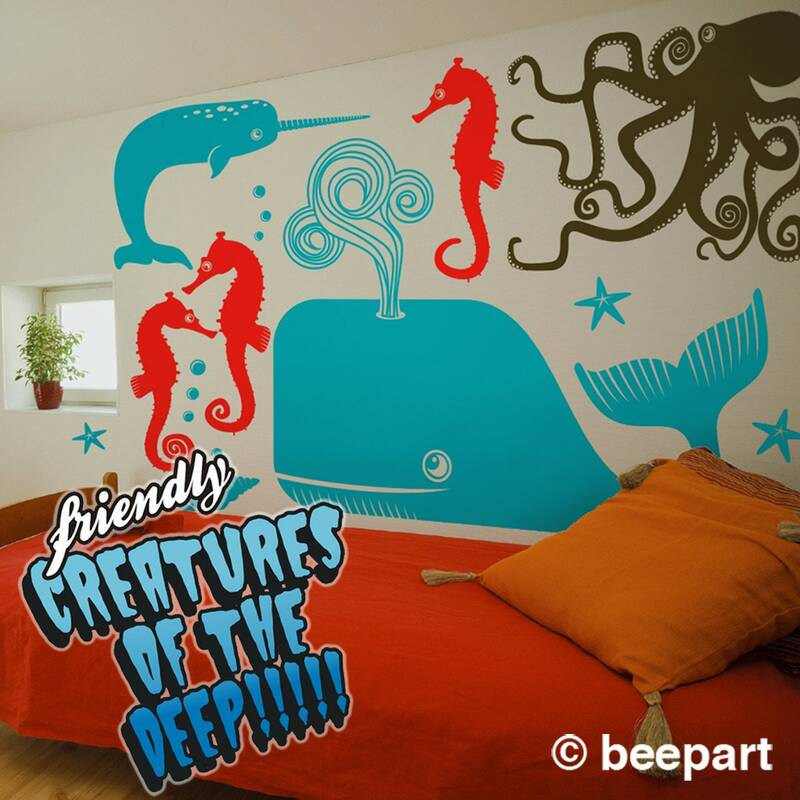 Our friendly creatures of the deep!!!! 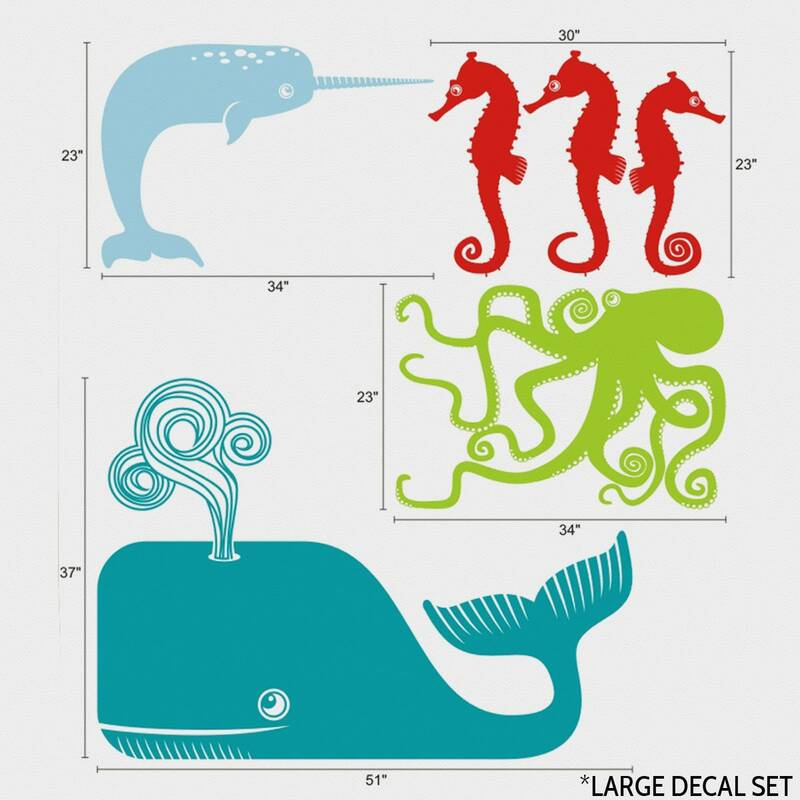 vinyl wall decal set. 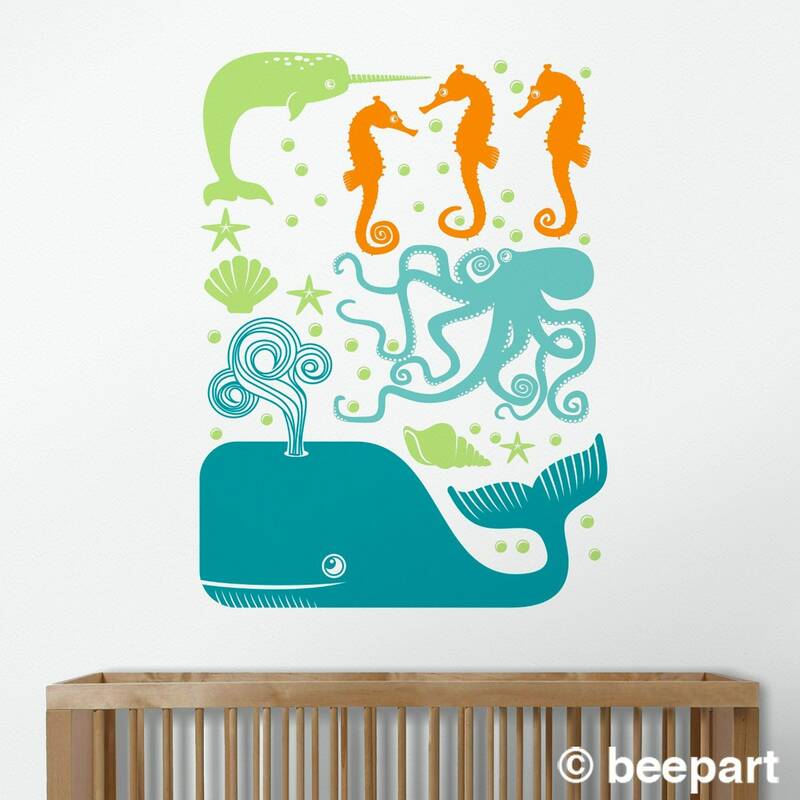 Make any room look like a magical underwater fantasy land! BONUS undersea items included with both sized sets (come in the same color as the narwhal)! -Let us know your 4 color choices for each sea creature in the 'message to seller' window upon checkout. These designs and accompanying images are copyright protected.